This undated devotional for boys is all about courage. Learn about prayer - communication with the God who created us and created courage in the first place. We've been given the Holy Spirit, who will encourage us through the ups and downs of life and intercede for us when we don't know what or how to pray. Next we look at doubt and how to overcome it. We need courage to face our fears and stand up to those who doubt us or try to present a warped version of Christianity. Lastly there's a section about David - a young lad who needed courage from the day he stood up to Goliath right through his life. 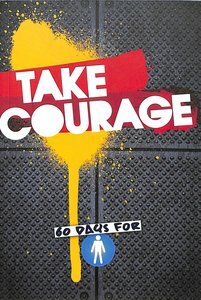 About "Take Courage: 60 Days For Boys"